"Can Chiropractic Help My Headaches?" Everyone, well at least almost everyone, has had headaches from time to time, and we all know how miserable they can make us feel. 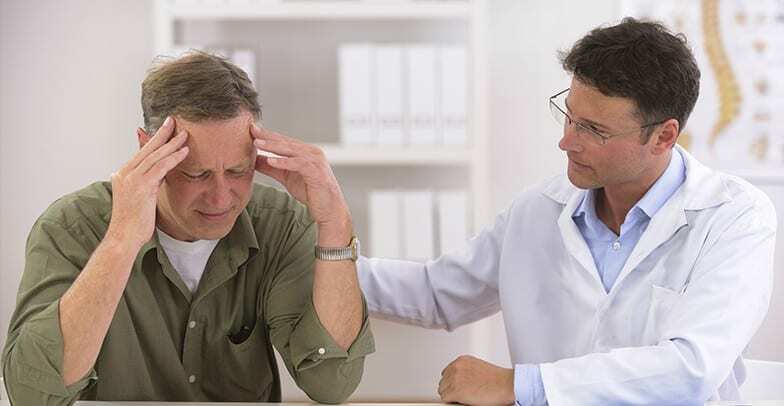 In fact, at some point in time, 9 out of 10 Americans suffer from headaches that range between mild and dull to throbbing, intense, and debilitating, sometimes to the point of requiring bed rest in a dark, quiet room. The common reflex is to reach for that bottle of pills and pray the headache subsides so you don’t have to call in sick and lose another day of productivity when you have so much to do. Unfortunately, between the side effects of many medications designed to help headaches and the pain associated with the headache, this approach is frequently NOT the answer. So what is? The good news is that many studies have identified spinal manipulation therapy (SMT), the main type of care utilized by chiropractors, as being very effective for popular types of headaches—in particular tension-type headaches that arise in the neck. An important 2001 study reported that SMT provided almost immediate relief for headaches that arose in the neck with SIGNIFICANTLY fewer side effects and longer-lasting results compared with commonly prescribed medications. Another interesting study that found similar results included tracking the prevalence/frequency of headaches after treatment stopped. The authors of the study reported the patients receiving SMT had continued to experience sustained benefits throughout the following weeks, and even months, in contrast to those in a medication treatment group where headaches came back almost immediately after they discontinued treatment. The most commonly prescribed medication for tension-type headaches are non-steroidal anti-inflammatory drugs (NSAIDs). Common over-the-counter options include ibuprofen (Advil, Nuprin, etc.) and Aleve (Naproxen). For those who can’t take NSAIDs because of blood thinning and/or stomach-liver-kidney problems, doctors commonly prescribe acetaminophen (Tylenol), but it can be hard on the liver and kidneys, especially when taken over time. So, what can you expect from a visit to a chiropractor for your headaches? The typical approach begins with a thorough history and examination with an emphasis of evaluating the neck and its associated function. Your doctor of chiropractic may also perform tests designed to reduce pain and some that provoke a pain response to identify the “pain generator” or cause! Because each patient is unique, the type of care provided will be individually determined based on the findings, the patient’s age, comfort, and preference of both the provider and patient. So, the next time you find yourself reaching for pills because of headaches, remember that there are better options! Give chiropractic a try. You’ll be GLAD you did!! !